Unfortunately, hurricanes can bring calamity. Over the last 25 years, the United States has experienced many strong, dangerous, and destructive hurricanes. These tropical storms have caused damage in the tens of billions of dollars, displacement from homes, and, worst of all, casualties. The list bellow outlines the most destructive hurricanes we’ve seen in North America over the last quarter century. Summary: When it struck in 1992, Hurricane Andrew was the most destructive hurricane in American history. It is responsible for $26.5 billion of damage, or $44.4 billion in 2017 currency. When adjusted for inflation, Andrew ranks as the third costliest hurricane in history. Path of the hurricane: This hurricane formed as a tropical wave in the central Atlantic Ocean before rapidly intensifying and moving over the Bahamas, South Florida, the Gulf of Mexico, and finally, Louisiana. Intensity: Andrew peaked as a Category 5 hurricane while traveling over the Bahamas and South Florida on August 23. Damage: Andrew was responsible for destroying 63,000 homes and damaging another 101,000. Sadly, 44 people were killed by the hurricane. Oil companies were confronted with $500 million in damage, and Miami-Dade County alone had estimated destruction totaling $25 billion. Andrew also catalyzed at least 28 tornadoes on the Gulf Coast. Summary: Wilma hit the Atlantic basin in 2005 during an incredibly busy hurricane season that had already spawned Rita and Katrina. Wilma was recorded as the most intense tropical cyclone ever recorded in the Atlantic basin. It caused $29.4 billion in damage. Path of the hurricane: Wilma formed as a tropical depression in the Caribbean Sea on October 15 and officially became a hurricane on October 18. Wilma reached the Yucatan Peninsula on October 20 and 21 before going northeast to the Gulf Coast and making landfall in Cape Romano, Florida. Intensity: Wilma was a Category 5 hurricane. As it continued on its path, Wilma was downgraded and upgraded numerous times, ranging between Categories 3 and 5. 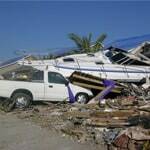 Damage: Florida was hit hardest by Wilma, with 26 deaths and $16.8 billion in damage in that state alone. Wilma also caused widespread infrastructure damage to power, water, and sewer systems. In total, 61 people died from Hurricane Wilma. 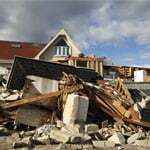 Summary: Hurricane Ike wreaked $37.5 billion in damage, with heavy impacts in both Cuba and Texas. Path of the hurricane: Ike developed from a tropical wave west of Africa on September 1. By September 4, it was midway across the Atlantic Ocean, and by September 8 it made landfall on Cuba. It continued through the Gulf of Mexico and made its final landfall in Texas on September 13. Intensity: Ike reached a Category 4 peak intensity over the central Atlantic on September 4. It gradually weakened before resuming strength while passing over Cuba and the United States. Damage: This hurricane became the costliest in Texas history. An evacuation order was made for all of Galveston and other counties east of Houston, with President George W. Bush making an emergency declaration. Houston’s Reliant Stadium lost part of its roof in the storm and windows of many downtown buildings and skyscapers were broken. 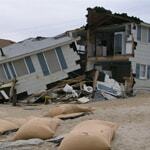 Damages from the U.S. coastal area alone are estimated at $29.5 billion. 196 people died as a result of Hurricane Ike. Summary: Hurricane Sandy caused $75 billion in damage. In the United States, it impacted the entire eastern seaboard from Florida to Maine, as well as 24 states total. Path of the hurricane: Sandy developed on October 22 from a tropical wave in the west Caribbean. By October 24, Sandy intensified to hurricane status and made a landfall near Jamaica, then Cuba, followed by the United States. By October 29, it reached New Jersey with hurricane-force winds. Intensity: For all of the damage Sandy caused, this hurricane peaked as a Category 3 storm near Cuba, before dissipating to a Category 1 hurricane when it hit the United States. Damage: Despite its low Category 1 rating, the impact of Hurricane Sandy was widespread. A storm surge in New York City on October 29 caused the area to flood in streets, tunnels, and subway lines, which cut power in and around the city. Financial markets and most of the area closed. 233 people died, with 71 in New York alone. Much of the East Coast was in a state of emergency, and the impact traveled to the Midwest as far as Michigan and Wisconsin, which faced gale-force winds and high waves off of Lake Michigan. Some electric utilities on the East Coast took weeks to repair, so many residents lived without electricity for a long period of time. Summary: In 2005, Hurricane Katrina became the costliest hurricane in the history of the United States, responsible for $108 billion in damage. It was also one of the top 5 deadliest hurricanes the U.S. has ever seen. Path of the hurricane: Katrina originated over the Bahamas on August 23 before moving westward to Florida and making landfall there on August 25. Katrina went through the Gulf of Mexico on August 26 and strengthened over the warm waters before making a landfall in southeast Louisiana on August 29. Intensity: While in the Gulf of Mexico, Katrina registered as a Category 5 hurricane. It was downgraded to a Category 3 when it made landfall in Louisiana. Damage: The devastation wrought from this tragic hurricane cannot be overstated. At least 1,245 people died in Hurricane Katrina and its ensuing floods. Two thirds of the deaths in Greater New Orleans were due to levee and floodwall failure. The hurricane’s storm surge resulted in 53 breaches in the levee system. Consequently, New Orleans became extremely vulnerable to flooding. The search for survivors took weeks and significant parts of the Louisiana and New Orleans, including residential areas, downtown attractions, and the famous Louisiana Superdome had to undergo significant renovations. At least thousands were displaced from their homes and were forced to find shelter in substandard makeshift housing arrangements like the Superdome. When all was finished, Katrina caused approximately four times the damage of 1992’s Hurricane Andrew. 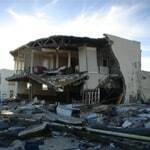 Top 5 Most Destructive Hurricanes of the Past 25 Years.. Our Power Equipment Direct how-to library can help you learn about How to Use a Generator for Tailgating, How to Get the Right Generator for Your Home and How to Save Electricity with Load Shedding.